The name says it all. 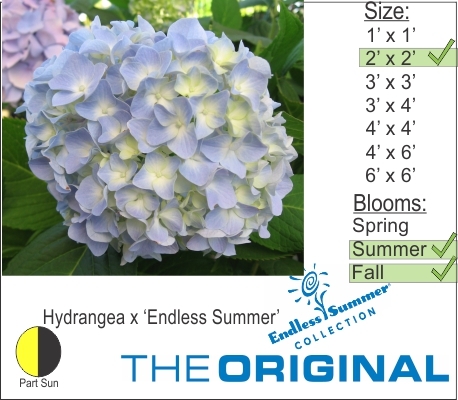 Endless Summer Hydrangea provides for endless pink and blue puffball flowers throughout the summer. Be careful planting this shrub if it is flushed out and flowering in the early spring. An early spring frost will kill back this plant if you happen to purchase it flushed out and flowering from a big box store. Normally the blooms on this plant commence in early summer (for good reason) not early spring in the Hudson Valley.